In a typical serving of leafy green vegetables, you get a massive dosage of Vitamin K. This incredible vitamin regulates blood clotting, helps protect bones from osteoporosis, may help prevent and reduce atherosclerosis by reducing calcium in arterial plaques, may be a key regulator of inflammation, and may help protect us from inflammatory diseases including arthritis. Want more? Vitamin K may also help prevent diabetes. Let's be straight-up and down about this; cooking properly balanced meals beats anything else, period. Smoothies are the next best thing. Freshly prepared, they trump vitamins pill supplements hands-down. Extremely easy to make a routine out of it. No hassle, no cooking. Just find a recipe, stick the ingredients into a blender and your done. 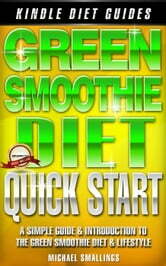 Takes about 10 minutes from start to finish to have a nutritionally-rich smoothie ready to drink. Doesn't get easier to consume those greens. You can take on the green smoothie diet in a number of ways. Find out the best way to achieve your particular weight-loss and health goals. Paleo Diet Made Easy Basic Paleo Diet Facts for Beginners to achieve weight loss using proven Paleo Recipes and Paleo Eating Habits in just one week! Low Carb Diet: Effective Weight Loss Strategy Including Low Carb Recipes ! Paleo Diet: Release the Power of the Paleo Diet! Make Your Waist Slim, Get More Energy, and Change Your Life for the Better. 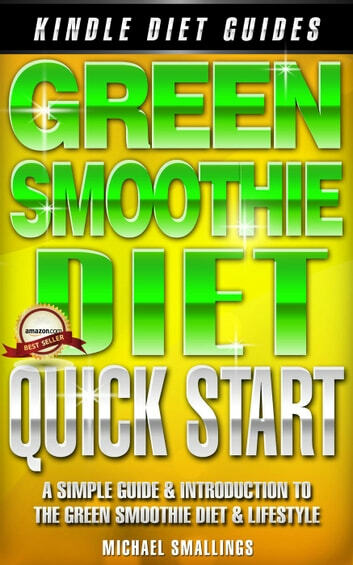 Green Smoothie Cleanse: 15-Day Healthy Detox Program with Recipes for Rapid Weight Loss!